Last night I went to a climbing gym, and I was surprised by how genuinely accepting and nice everyone was. 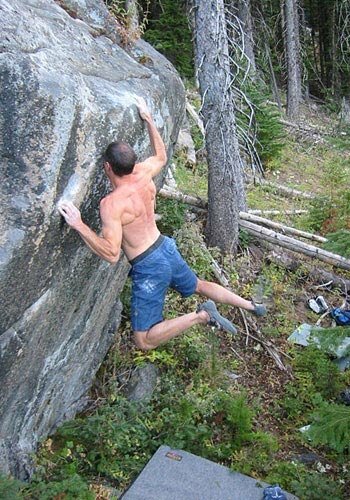 I was clearly the worst climber there, but I didn’t feel an ounce of judgment from anyone. I guess it’s because there’s enough pressure on you when you’re hanging from a cliff. That’s me in the picture . . . just kidding.